Widespread adoption of cloud technology into post-trade operations is likely to be a “long path” due to legacy systems within major banks, according to industry experts. Research firm Celent has suggested that institutions were at different stages of cloud implementation for post-trade operations, despite the rise of the technology. Celent did pinpoint securities services firms like the DTCC and Clearstream as being early pioneers with cloud technology. “If you look at some of the management of certain post-trade operations such as trade confirmation and others, some institutions are already starting this and we see some of the core post-trade utilities moving to a cloud infrastructure,” said Brad Bailey, research director for the securities and investments group at Celent. Celent’s research suggests that capital markets are becoming more accepting of cloud-based technology due to market pressures, rising costs and technology developments. Bailey also suggested that in spite of this certain applications of cloud were progressing rapidly in a short space of time. “In this space a long time is a year. A year ago cloud questions were over data and the security around data now many of the questions are around performance so I would say the long term is a five year plan as this is happening quickly,” said Bailey. 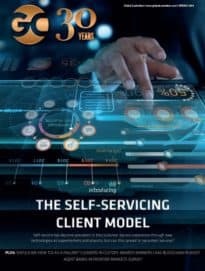 Findings revealed that cloud is offering firms a more agile infrastructure enabling participants to address changing regulatory requirements, the proliferation of trading applications as well as the need to rapidly connect to multiple liquidity sources. The research also revealed an increased appetite for cloud-based services in the last 12 to 18 months and that market participants are showing more acceptance of its security, stability and reliability. Celent analyst Arin Ray also suggested that cloud developments are currently underway in major institutions. “Look at the leading institutions like DTCC and Clearstream, these guys have been using cloud for a long time for their internal operations and they are now building solutions for the client communities,” said Ray.